Joanna Harrington is a Professor of Law at the University of Alberta and a part-time member of the Canadian Human Rights Commission. Her academic work focuses on topics at the intersection of constitutional law and international law, including human rights law, with publications in leading journals and highly-regarded edited collections. A lawyer since 1995, and a legal academic since 1999, her teaching and research activities have earned the Martha Cook Piper Research Prize, a Killam Annual Professorship, a Fulbright Scholar award, and the Canadian Association of Law Teachers Prize for Academic Excellence, as well as visiting appointments at the University of New South Wales, the University of Oxford, and the University of Texas at Austin. 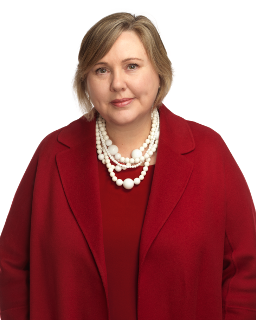 She has also served on secondment with Canada’s Department of Foreign Affairs (now Global Affairs Canada), providing advice to government on matters of international human rights law and international criminal law, and representing Canada in negotiations at the United Nations and the Organization of American States. Within the university, she has served a five-year term as an associate dean with campus-wide responsibilities regarding graduate education. Before becoming a career professor, she served as a legal adviser for the passage of the Human Rights Act and other measures of constitutional reform in the United Kingdom. She earned her BA at the University of British Columbia, her JD at the University of Victoria, and her PhD in Law at the University of Cambridge where she was a Tapp scholar at Gonville and Caius College. H. Cullen, J. Harrington & C. Renshaw, eds, Experts, Networks and International Law (Cambridge: Cambridge University Press, 2017) (298 pages). J.H. Currie, C. Forcese, J. Harrington & V. Oosterveld, International Law: Doctrine, Practice, and Theory, 2nd ed. (Toronto: Irwin Law, 2014) (963 pages). J. Harrington, M. Milde & R. Vernon, eds, Bringing Power to Justice? The Prospects of the International Criminal Court (Montreal & Kingston: McGill-Queen’s University Press, 2006) (265 pages). J. Harrington, Halsbury’s Laws of Canada - Public International Law: 2019 Reissue (Markham, ON: LexisNexis, 2019)​ (290 pages). J. Harrington, Halsbury’s Laws of Canada - Public International Law: 2014 Reissue (Markham, ON: LexisNexis, 2014)​ (260 pages). J. Harrington, Halsbury’s Laws of Canada - Public International Law (Markham, ON: LexisNexis, 2010) (260 pages). J. Harrington, "Extradition, Assurances, and Human Rights: Guidance from the Supreme Court of Canada in India v. Badesha" (2019) 88 Supreme Court Law Review (2d) 273-293. J. Harrington, "Addressing the Corruption of Foreign Public Officials: Developments and Challenges within the Canadian Legal Landscape"  56 The Canadian Yearbook of International Law (forthcoming). J. Harrington, “The Working Methods of the United Nations Security Council: Maintaining the Implementation of Change” (2017) 66:1 International & Comparative Law Quarterly 39-77. J. Harrington, “Climate Change, Human Rights, and the Right to be Cold” (2014) 45 National Chung Cheng University Law Journal 1-37 (translated into Chinese). J. Harrington, “Responsibility while protecting and the impact on responsibility to protect” (2013) 8:1-2 Chinese Review of International Law 79-93 (translated into Chinese). J. Harrington, “Exploring the ‘Canadian’ in The Canadian Yearbook of International Law”  50 The Canadian Yearbook of International Law 3-33. J. Harrington, “Canada and the United Nations Human Rights Council: Dissent and Division” (2010) 60:1 University of New Brunswick Law Journal 78-115, available here. J. Harrington, “Canadian Treaty Practice and the Disabilities Convention” (2010) 42:3-4 Hosei Riron: The Journal of Law & Politics 146-166. J. Harrington, “Canada, the United Nations Human Rights Council, and Universal Periodic Review” (2009) 18:2 Constitutional Forum 79-93, available here and here. J. Harrington, “Peace in Northern Ireland and the Remaining Issue of the On-the-Runs” (2009) 10:1 Human Rights Review 5-34. J. Harrington, “Climate Change, Human Rights, and the Right to be Cold” (2007) 18:3 Fordham Environmental Law Review 513-535, available here. J. Harrington, “The Democratic Challenge of Incorporation: International Human Rights Treaties and National Constitutions” (2007) 38:2 Victoria University of Wellington Law Review 217-235, available here. J. Harrington, “The Absent Dialogue: Extradition and the International Covenant on Civil and Political Rights” (2006) 32:1 Queen’s Law Journal 82-134, available here. J. Harrington, “Scrutiny and Approval: The Role for Westminster-style Parliaments in Treaty-Making” (2006) 55:1 International & Comparative Law Quarterly 121-159. J. Harrington, “The Role for Human Rights Obligations in Canadian Extradition Law”  43 The Canadian Yearbook of International Law 45-100. J. Harrington, “Redressing the Democratic Deficit in Treaty Law Making: (Re-) Establishing a Role for Parliament” (2005) 50:3 McGill Law Journal 465-509, available here and here. J. Harrington, “The British Approach to Interpretation and Deference in Rights Adjudication” (2004) 23 Supreme Court Law Review (2d) 269-303. J. Harrington, “The Challenge to the Mandatory Death Penalty in the Commonwealth Caribbean” (2004) 98:1 American Journal of International Law 126-140, available here. J. Harrington, “Punting Terrorists, Assassins and Other Undesirables: Canada, the Human Rights Committee and Requests for Interim Measures of Protection” (2003) 48:1 McGill Law Journal 55-87, available here and here. J. Harrington, “Making Sense of Equality Law: A Review of the Hepple Report” (2001) 64:5 Modern Law Review 757-766. J. Harrington, “Rights Brought Home: The United Kingdom Adopts a ‘Charter of Rights’” (2000-2001) 11:4 Constitutional Forum 105-111, available here and here. J. Harrington, “Interpreting the Charter” in P. Oliver, P. Macklem & N. Des Rosiers, eds, The Oxford Handbook of the Canadian Constitution (Oxford: Oxford University Press, 2017) at 621-638. J. Harrington, “Use of force, rule-of-law restraints, and process: Unfinished business for the responsibility to protect concept” in J. Farrall & H. Charlesworth, eds, Strengthening the Rule of Law through the UN Security Council (London: Routledge, 2016) at 224-238. J. Harrington, “Monitoring and the Referral of Criminal Cases between Jurisdictions: An ICTR Contribution to Best Practice” in C.C. Jalloh & A.B.M. Marong, eds, Promoting Accountability Under International Law for Gross Human Rights Violations in Africa: Essays in Honour of Prosecutor Hassan B. Jallow (Leiden: Martinus Nijhoff Brill, 2015) at 478-497. J. Harrington, “Extradition of Transnational Criminals” in N. Boister & R.J. Currie, eds, Routledge Handbook of Transnational Criminal Law (London: Routledge, 2014) at 153-166. J. Harrington, “R2P and Natural Disasters” in W.A. Knight & F. Egerton, eds, The Routledge Handbook of the Responsibility to Protect (London: Routledge, 2012) at 141-151. J. Harrington, “The Role for Parliament in Treaty-Making” in O. Fitzgerald, et al, eds, The Globalized Rule of Law: Relationships between International and Domestic Law (Toronto: Irwin Law, 2006) at 159-199. J. Harrington, “The Role for Parliaments in Treaty-Making” in H. Charlesworth, et al, eds, The Fluid State: International Law and National Legal Systems (Sydney: Federation Press, 2005) at 34-56. J. Harrington, “The British Approach to Interpretation and Deference in Rights Adjudication” in G. Huscroft & I. Brodie, eds, Constitutionalism in the Charter Era (Markham, ON: LexisNexis, 2004) at 269-303. J. Harrington, “How Canadian Lawyers can contribute to the Effectiveness of the UN Human Rights Committee” in The Measure of International Law: Effectiveness, Fairness and Validity (The Hague: Kluwer Law, 2004) at 132-154. ​J. Harrington, “Article 2 - Right to Life” in Lord Lester of Herne Hill QC & D. Pannick QC, eds, Human Rights Law and Practice Supplement (London: Butterworths, 2000) at 19-26. J. Harrington & N. Mole, “Article 2 - Right to Life” in Lord Lester of Herne Hill QC & D. Pannick QC, eds, Human Rights Law and Practice (London: Butterworths, 1999) at 79-92. J. Harrington, T.L. McDorman & W.A.W. Neilson, “The 1992 Vietnamese Constitution: Economic Reform, Political Continuity” in D.M. Johnston & G. Ferguson, eds, Asia-Pacific Legal Development (Vancouver: University of British Columbia Press, 1998) at 243-266. J. Harrington, “Le rôle du parlement dans la conclusion des traités” in O. Fitzgerald, et al, eds, Règle de Droit et Mondialisation: Rapports entre le droit international et le droit interne (Cowansville, QC: Éditions Yvon Blais, 2006) at 201-252. J. Harrington, “Charter Origins and Interpretation” in L.I. Rotman, B.P. Elman & G.L. Gall, eds, Constitutional Law: Cases, Commentary and Principles (Toronto: Carswell, 2008) at 769-796. J. Harrington, “Treaty Making and Treaty Implementation” in L.I. Rotman, B.P. Elman & G.L. Gall, eds, Constitutional Law: Cases, Commentary and Principles (Toronto: Carswell, 2008) at 581-602. J. Harrington, “Applying Public Law Principles to the UN Human Rights Bodies: Supporting the Call for Change to Working Methods”, Centre for Public Law Biennial Conference, University of Cambridge, 2016. J. Harrington, “Illuminations or Further Complexities? The Role of the Human Rights Treaty-Monitoring Bodies”, Transatlantic Workshop on International Law and Armed Conflict, University of Oxford, 2015. J. Harrington, “A Perspective from the Americas on Interim Measures of Protection”, Urgency and Human Rights Conference, Radboud University, 2015. J. Harrington, “China, the Responsibility to Protect, and an Opportunity for Leadership?”, ILA-ASIL Asia-Pacific Research Forum, 2013. J. Harrington, “Citing the ‘Foreign Law’ that is not so Foreign: International Human Rights Treaties and National Constitutions”, Faculty of Law Colloquium on Interpreting the Constitution, Western University, 2006. C. Forcese & J. Harrington, eds, International Law and Democratic Considerations, a special issue of the Alberta Law Review (vol. 46, no. 4) (2009).